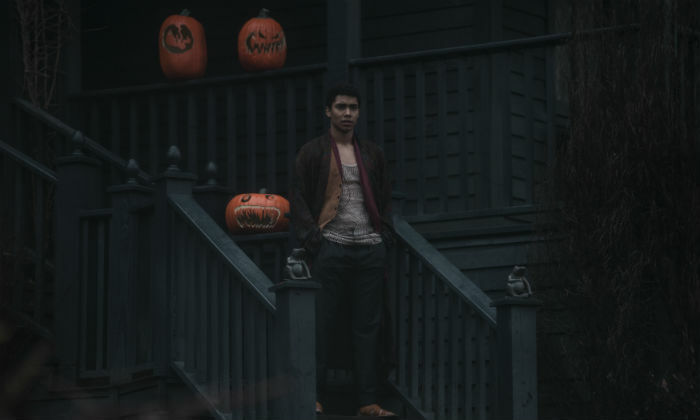 What do we know about the 'Chilling Adventures of Sabrina'? 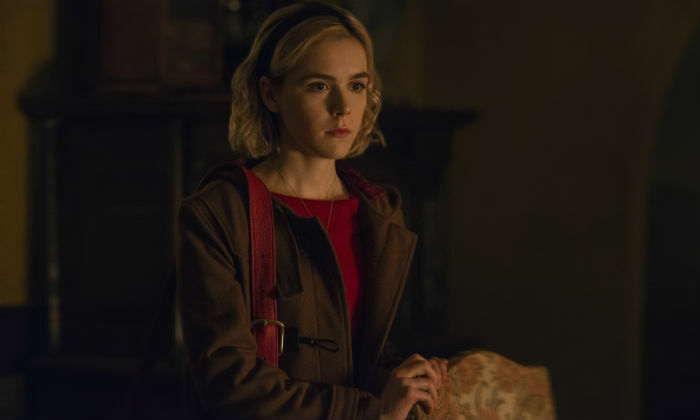 More than two decades after 'Sabrina the Teenage Witch' first aired, she's returning to our screens in a brand new original Netflix series entitled 'Chilling Adventures of Sabrina'. Be warned though, Sabrina fans, the new show is certainly not for the faint-hearted. If you didn't already know, the 90s series was based on the Archie Comics series of the same name; the same universe in which the new series creator Roberto Aguirre-Sacasa's 'Riverdale' exists. 'Chilling Adventures' is therefore more true to the comics, with the setting being in nearby Greendale as opposed to Westbridge. Still, there remains plenty of similarities between 'Teenage Witch' and 'Chilling Adventures. She still has her boyfriend, Harvey Kinkle, blissfully ignorant to her magical powers. 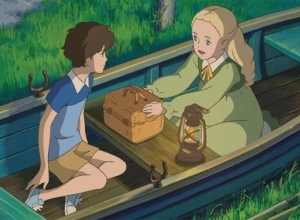 Plus, she still lives with her two aunts, Hilda (Lucy Davis of 'Wonder Woman') and Zelda (Miranda Otto from 'The Lord of the Rings'), as well as their cursed cat Salem Saberhagen, and she is described as being half-witch and half-mortal. 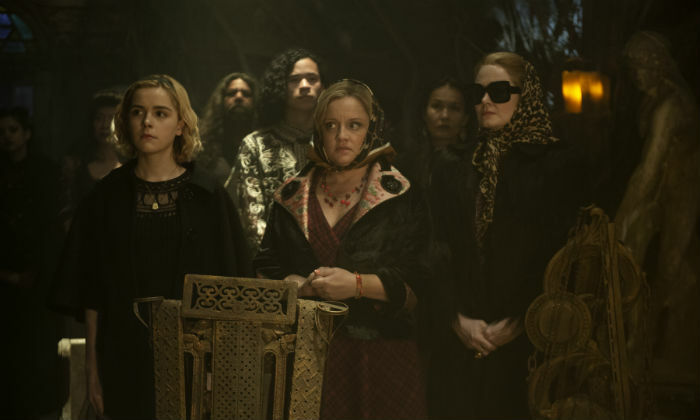 Instead of the charming suburban home of the original series, however, Sabrina and her aunts now live at 'Spellman Mortuary' (for funerals, burials and rites!) and it's the spookiest, Adam's Family-esque house you've ever seen. In fact, Greendale 'always feels like Halloween', which is fine by Sabrina because she embraces all things dark and spooky. 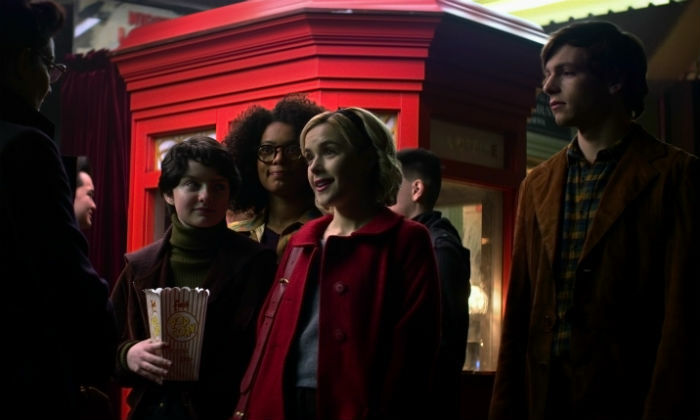 That should be enough evidence that 'Chilling Adventures of Sabrina' is not the same as the quaint show we remember from our childhoods. It's coming up to Sabrina's 16th birthday, which is at the same time Halloween. This is a special time for her as it's the day of her Dark Baptism. She's being forced to forsake the light for the evil of night, and leave all her friends behind in favour of her family values. The only problem is, Sabrina isn't evil. She might be a spooky girl, but she rather enjoys her typical high school life and hanging out with Harvey and her best friend Rosalind Walker. Of course, this displeases Father Blackwood (Richard Coyle), the High Priest of the Church of Night and Dean of the Academy of the Unseen Arts, as well as Aunt Zelda who is a devotee of the Dark Lord herself. Aunt Hilda is ready to accept Sabrina no matter who she chooses to be though, and naturally, Zelda and Hilda are constantly at each other's throats - literally. Kiernan Shipka plays Sabrina Spellman and, at just 18-years-old, she's already had quite a career. 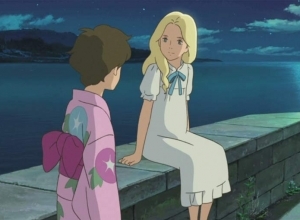 She made her acting debut as a child in 'Monk', and would go on to appear in various 'Jimmy Kimmel Live!' skits and have break-out roles in 'The Legend of Korra' and 'Mad Men'. Last year saw her with a recurring role in 'Feud'. You also might know her from the 2015 supernatural horror 'February' (aka 'The Blackcoat's Daughter'), in which she starred opposite Emma Roberts. Her next film is another horror called 'The Silence', co-starring 'Sabrina' cast-mate Miranda Otto and set for release in December. Other up-and-coming stars are Ross Lynch from 'Austin & Ally' (who is also lead singer of family pop group R5) as Harvey and Jaz Sinclair, who appeared in 'Slender Man', as Rosalind. 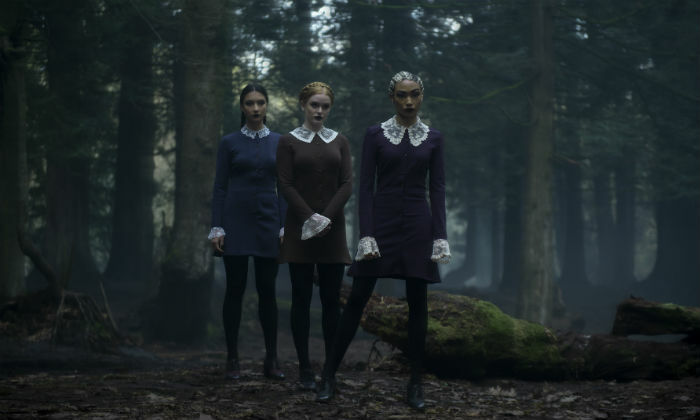 Plus, 'The 100' star Tati Gabrielle plays Prudence, leader of the three Weird Sisters who want nothing more than to see Sabrina's end, while newcomer Chance Perdomo plays Sabrina's cousin and partner-in-crime Ambrose Spellman (who is placed on house arrest by the Witches Council). Michelle Gomez from 'Doctor Who' is Mary Wardell, who seems to be Sabrina's biggest adversary. 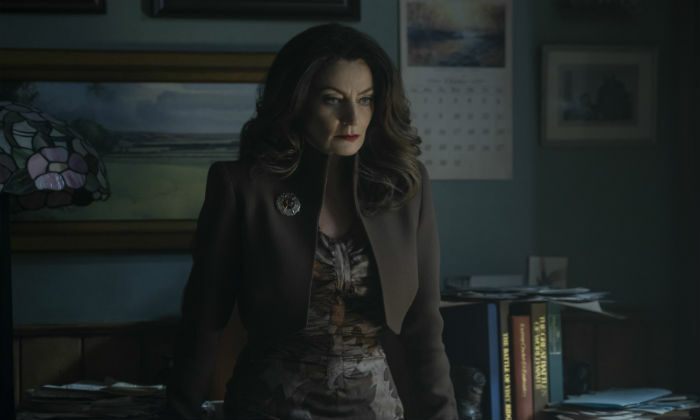 She's initially her favourite teacher at Baxter High, but is then possessed into becoming the Devil's handmaiden, Madam Satan. There won't be much interaction between Salem and the other characters despite the fact that he's supposed to be a talking cat, formerly a witch until he was sentenced to life as a cat as punishment by the Witches Council. 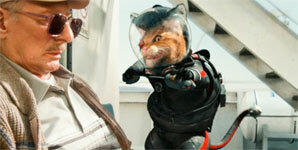 Kiernan Shipka is, unfortunately, allergic to cats! It's a real shame for cat lovers, but Kiernan is the first actual teenager to play this teenage witch; Melissa Joan Hart was 20-years-old when the original show aired. So the show gets points for authenticity. Blood, death, the Devil, possession, the occult, monsters... This new series is 20 episodes of everything that 'Sabrina the Teenage Witch' is NOT about. And we can't wait to see it. 'Chilling Adventures of Sabrina' will hit Netflix on October 26th 2018. Kiernan Shipka dating Gary Oldman's son?